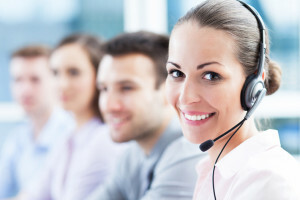 The products and services incorporated into our Online HR Support Center are comprehensive enough to help you so you stay in front of all your HR needs. Our Online HR Support Center offers training materials, eAlerts, legal updates and more. Our HR solutions not only help protect you — they also can help grow your business. When we say “unlimited,” we mean it. No hidden costs or fees. You can ask our HR Pros as many questions as you need to, online, over the phone or through our mobile app. Our HR Pros will even create or customize HR forms, documents, letters, and tools for your business. And our HR Pros are pretty good at what they do — they’ve earned a 4.8 out of 5 customer satisfaction rating five years running. Strategic HR Support offers the industry’s most comprehensive HR protection and support. In addition to all of our HR On-Demand services, you will be partnered with one of our certified HR Pros, who will conduct a comprehensive audit, build an HR action plan, and ensure you reach your HR compliance and strategic goals.